Pie for breakfast – a delicious success! 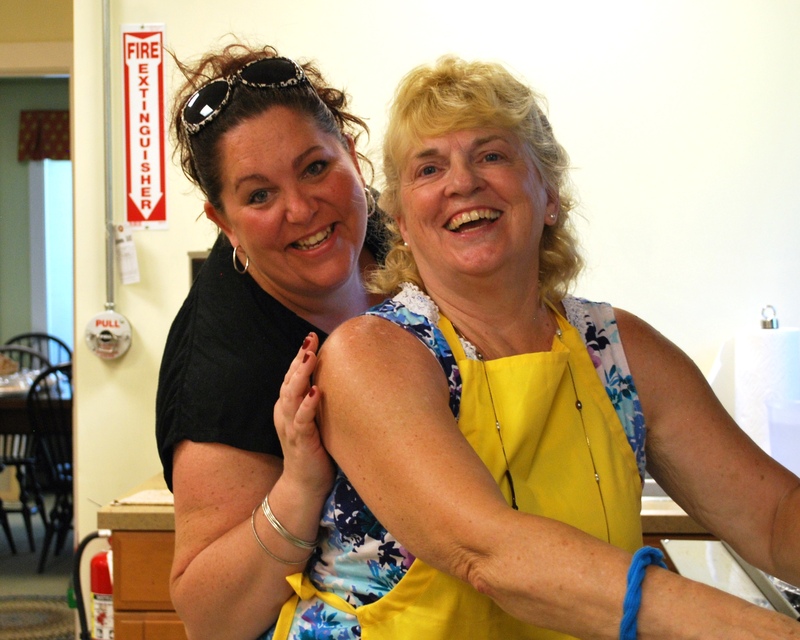 About 125 people enjoyed a delicious morning at the Wilmot Community Association’s Pie Breakfast on July 16. Pie for breakfast is part of a New England summer. People came from far and wide to help the WCA celebrate this wonderful tradition. Organizers Amber Gove and Rachel Seamans would like to everyone who attended the fundraiser as well as the many volunteers who made it all possible. Amber and Rachel thank everyone who supported the annual Pie Breakfast! 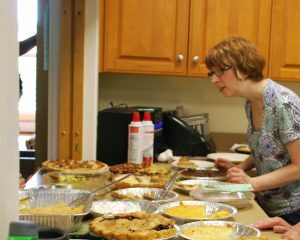 Volunteers prepared sweet and savory pies to delight every taste bud. These fine bakers included Jane Norman, Clara Sheehy, Jen Caponigro, Karen Schwendler, Sue Hoyt, De Segerson, Meredith Bird Miller, Ann Davis, Sandy Schmidt, Jeff Gove, Nancy Large, Kathy Neuberger, Charles Dickerson, Judy Hauck, Kim Esposito, Susan Nye, Emilie Major, Laurie Bagley, Kathy Davidson, Keith Seamans, Heather Stoddard, Kim Baer and Mary Fanelli. Pie, pies and more pies! Amber Gove and Rachel Seamans were ably assisted by a superb crew of kitchen and dining room volunteers. Josiah Gove, Avery Gove, Kim Esposito, Carley Esposito, Heather Stoddard, Allie Philips, Justin Ferren and Michelle Robinson answered the call to make it a great day. Kim Esposito takes an order! The WCA is grateful to everyone who joined the fun at the Pie Breakfast. Live free and eat pie! Decisions, decisions. 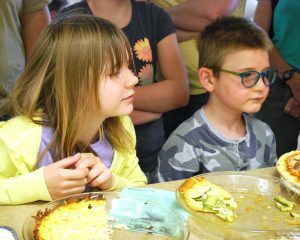 The Anderson children check out all the wonderful pies. 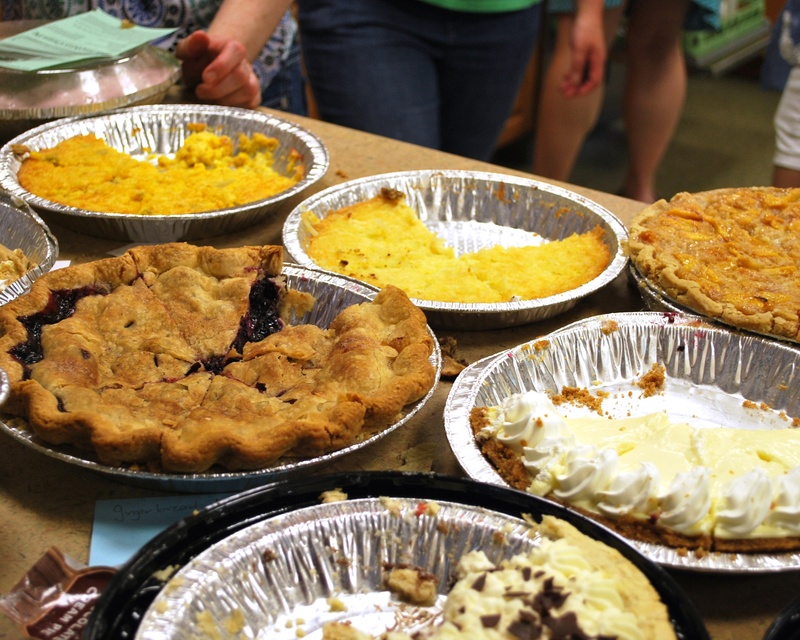 This entry was posted in WCA Events, WCA News and tagged Pie Breakfast by admin. Bookmark the permalink.